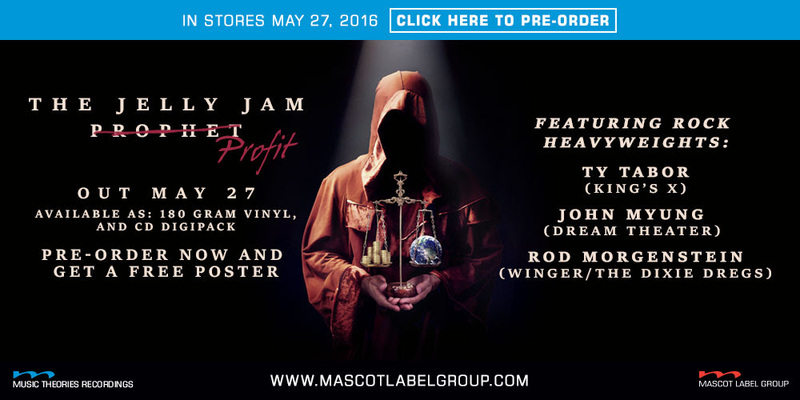 The Jelly Jam, featuring DREAM THEATER’s John Myung, WINGER/DIXIE DREGS’ (live) Rod Morgenstein and KING’S X Ty Tabor, will return in 2016 with a new album and their first ever world tour. Profit is now available to pre-order from the MLG store. The 180 grams vinyl is limited to 2000 copies, and comes with a download card.